Observe! The brand new free communications template has arrived! Let's call it 'Technical Support'. Anyone who's about to create a site for wireless ISP - those people will find our free communications templates to be the best solution for their needs. We devote some time and hard work to pick the free website templates by hand and make sure that they are of premium quality. Oh well, now tell me - why bother? Free means inferior quality, doesn't it? Are free isp templates worth anything? I'm not bragging, but, truly, the majority of our free templates are not only beautiful but also standards compliant, i.e. valid HTML/CSS. Who needs a tailor-made website design? Normally the one who has an adequate amount of money for it. And, well, enough time. As it usually requires lots of both. Now a small or medium online business could go just fine with a template. 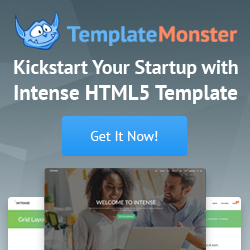 Hey there, wake up - lots of (actually, hundreds of thousands) of sites use web templates. And you know what? No, they don't look and feel similar because there's such thing as customization! Whatever kind of site I've developed through my personal web development career - and I've got some I can tell you ;) - I hardly ever had a problem getting a web template for the project. Different topics, different CMS engines, completely different structure - I could always unearth some free web template which with some customization develops into a unique design for the project. I know for sure you are going to hunt down appropriate free website template for your web site as well. Lot's of people (or all of them?) love freebies. And that is due to the fact that free doesn't always imply poor quality. Here's this beauty of a web template right before you - now, tell the truth, does it appear to be 'poor' quality? I can assure you - it's not bad, quite the opposite - it's an example of one of the best free web designs out there. We hope that our free communications template is what you were seeking for your ISP website.